Lego Yoda wants you to buy stuff. We are covering the latest announcements made regarding Star Wars: Galaxy’s Edge in Disneyland and Walt Disney World. On this episode, we discuss this land’s merchandise offerings such as Savi’s Workshop and Dok-Ondar’s Den of Antiquities. This is Part 3 of a 3-part series on Star Wars: Galaxy’s Edge. 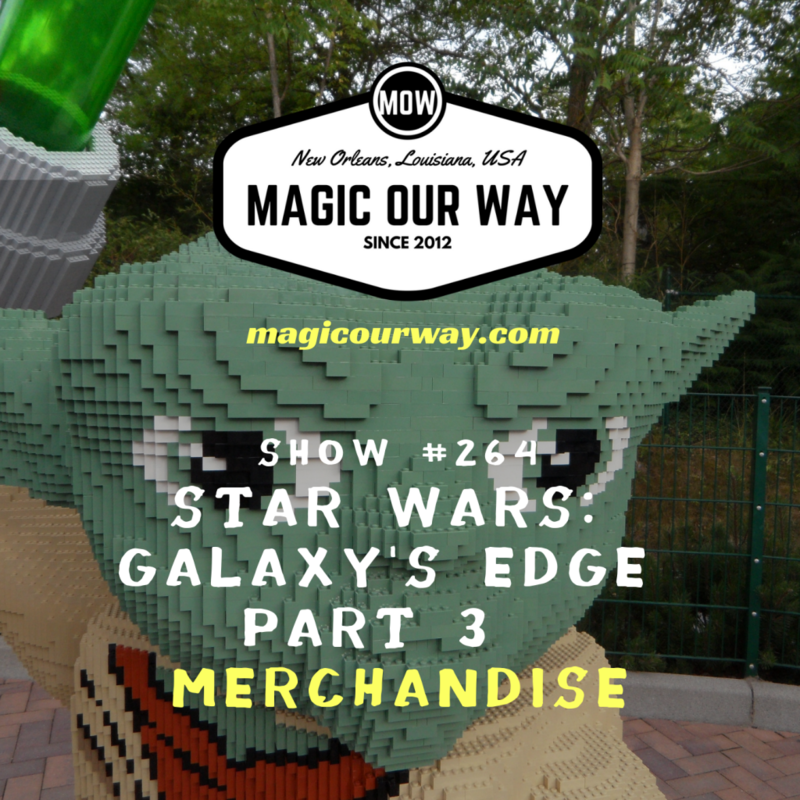 Be sure to check out MOW #262 to hear Part 1 of our discussion regarding the Backstory and Attractions and MOW #263 to hear Part 2 of our discussion regarding the food of Star Wars: Galaxy’s Edge. What do you think of our discussion? What merchandise location are you looking forward to seeing? 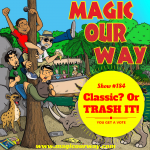 Let us know at show@magicourway.com. Your opinions are always welcome on our show. Seriously, every opinion is welcome. To learn more about the show or purchase merchandise, visit http://magicourway.com. Leave a VOICEMAIL or send us a TEXT at 1-815-MOWICAN (669-4226). 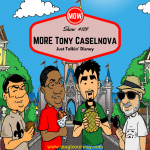 On today’s show, we have Danny, Kevin, Eli of www.ivorycomics.com, and Lee of Magical Moments Vacations.